WHEN I started testing cars for a living, in the 1980s, it was possible for one person to drive every new model that hit the showrooms. I could drive a different car every day now and still not have enough time, or stamina, to do that. There are a lot more brands on the market and the rise and rise of the SUV has effectively doubled the number of vehicles within each brand's portfolio. Then there's the boom in one-tonners and every second day a breathless press release announces yet another shiny new world-beater. Often, though, they're not really new. 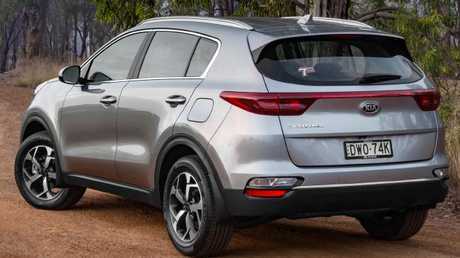 Kia's fourth generation Sportage, launched in 2016, has just had a "product enhancement" to keep it, so says the press blurb, "fresh and relevant". That's code for "the competition has lifted its game, so we have to respond". If there's no standard autonomous emergency braking in a car or SUV these days, why would anybody want to buy it? 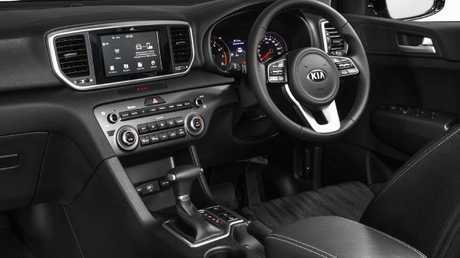 Kia has now made AEB, previously available only on the top spec GT Line, standard across the Sportage range. There's a catch - it works only from 10-80km/h. Lane keep assist, which gives you audible and visual warnings if you stray on to the lane markings, and gently prods the steering back towards the centre of the lane, is also standard. At base model 2.0-litre petrol Si level, Sportage still falls short of rival Mazda's standard safety spec in the CX-5 Maxx, which has AEB, blind spot monitoring and rear cross traffic alert with auto braking. Skoda's new Karoq also has more driver assist safety tech, including adaptive cruise control. As with parent brand Hyundai, Kia's infotainment is designed to work with your smartphone via Apple CarPlay and Android Auto. Only with these do you get voice control functionality; without the apps, you do everything the old fashioned way, via new high resolution touchscreens and a row of buttons underneath. Navigation is not included on Si. Other updates include an eight-speed automatic for 2.0-litre turbo diesel versions, tweaked suspension to improve ride comfort, more progressive steering, LED headlights on the GT Line, dual-zone aircon and the obligatory nose job/ tail-lights/alloy wheels cosmetic trifecta to create the all-important illusion of newness. The Si, tested here, carries over the 114kW 2.0-litre petrol engine with six-speed auto and front-wheel drive. At $29,990, its main rivals are its Hyundai Tucson Go twin under the skin, the CX-5 Maxx, Nissan X-Trail ST and Toyota RAV4 GX. Kias are robust and well-built. The Sportage's cabin is big on cheap plastics at base spec but fit and finish are excellent. The stark, bulbous dash is dating fast, though. The driver's seat is reasonably comfortable, with good lumbar support and ample adjustability. Storage includes a sizeable centre console box; a couple of 12V outlets and a USB socket take care of your devices. Rear passengers also get USB and 12V outlets. A firm bench, adjustable backrest, air vents and plenty of legroom make the second row a pleasant place for adults but high window sills may make it claustrophobic for young kids. 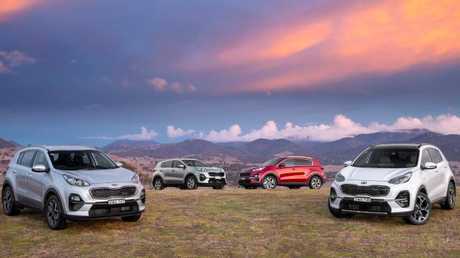 The Sportage's ride/handling compromise is one of the best in the class - Kia claims to have improved suspension compliance but I couldn't pick it. By class standards, the ride remains firm but comfortable and absorbent on all surfaces and wind and road noise levels are low. 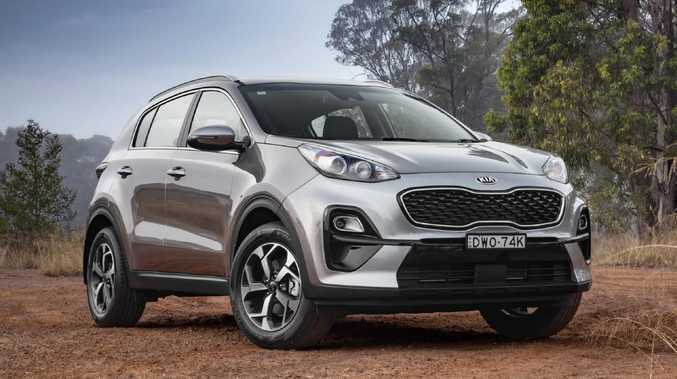 The Sportage scores five stars but rear cross traffic alert and adaptive cruise are only on the GT, which costs $44,790 for the 2.4-litre petrol or $47,690 for the 2.0-litre turbo diesel. On the road, the Si puts in an impressive performance for a base model. Proof that low power and torque numbers don't always mean slow progress, the 2.0-litre/auto combination is surprisingly nippy and there is quite strong pulling power lower in the rev range. It's also smoother and quieter than your typical four-cylinder and the six-speed auto works with unobtrusive efficiency. Surprisingly nippy: Sportage gets local tuning for the suspension. Eco, Normal and Sport modes are provided; Eco can return 6L-7L/100km on the highway and 9L-11L in town, on regular unleaded. At speed, the Sportage has a tight, tidy Euro SUV feel thanks to suspension tuning from local engineers who know how to do decent handling. 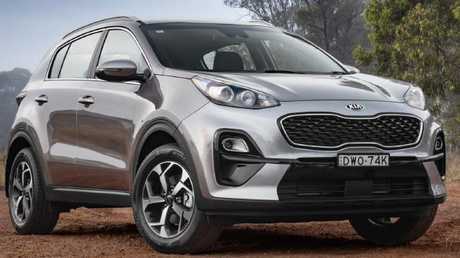 At base model front wheel drive level, the Sportage punches on par with more expensive machinery. Don't try to pretend you're in a Porsche and it's enjoyable to drive, with tactile, sharp steering (in Sport mode) and disciplined roadholding on choppy bitumen. It's one of the best-looking SUVs and, while I'd really like something with European badge, this does a better impersonation of Continental cachet than anything else at the price. Kia makes high-quality cars and backs them with the best warranty in the business. I have no need for all the bells, whistles and bling of the more expensive models. This one drives just fine. Beautifully built but the frugal 2.0 is gutless. Six-speed auto/front-drive. Class leading safety spec. Strong resale values. Five-year warranty. Karoq runs VW's 110kW 1.5-litre turbo/seven-speed dual-clutch auto/front-drive. Great fuel economy plus the best interior and infotainment in the class. Two years after launch, the Sportage is still competitive. It's one of the better base model drives and, if you're shopping in this class with a $30K budget, the Si delivers solid value and grief-free, low-cost ownership.